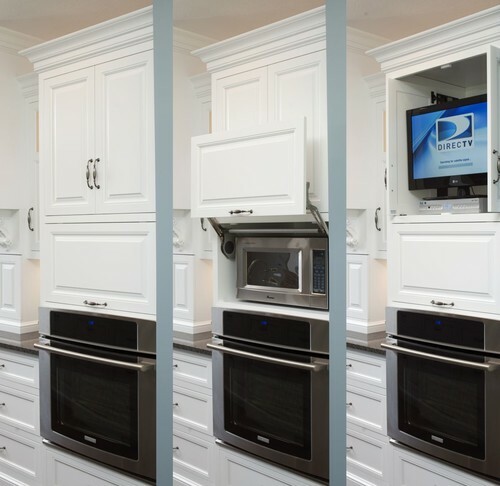 3 Places to Put Your Microwave – Besides Over The Range! 1. Over the range microwaves are a thing of the past! So where are the top interior designers putting the microwaves in the kitchen? In this newly remodeled kitchen, that was featured in the Parade of Homes Remodeler’s Showcase, you see that the microwave is set in the pantry cupboards with a mounting kit, at a more kid-friendly height than usual. 2. The fairly new microwave drawer is gaining in popularity because of how easy it is to use. All you need to do is set a cup of water in the drawer and push the open and close button. The drawer is so smooth your water is pretty much guaranteed not to spill. 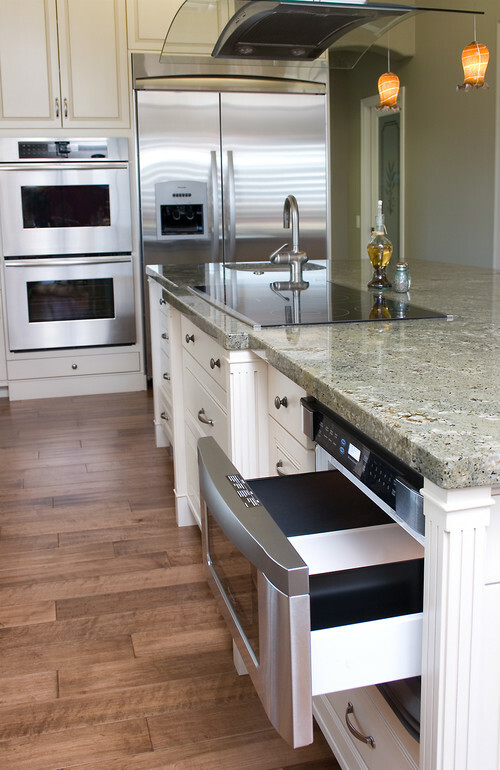 Although a lot of people are hesitant to install a microwave drawer in their kitchen remodel, everyone who we’ve talked to that has installed it has loved it. 3. Instead of having your microwave exposed with a mounting kit, you can use a garage style cabinet door to hide it in your kitchen cupboards! 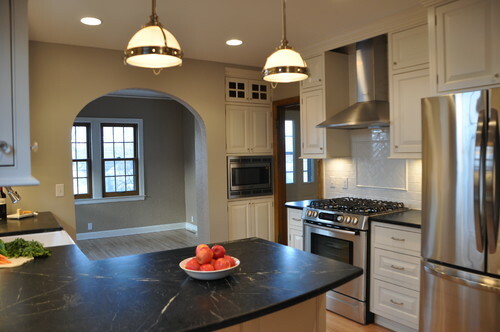 You could also use the armoire type cabinets that were used to hide the TV in this kitchen if you prefer.